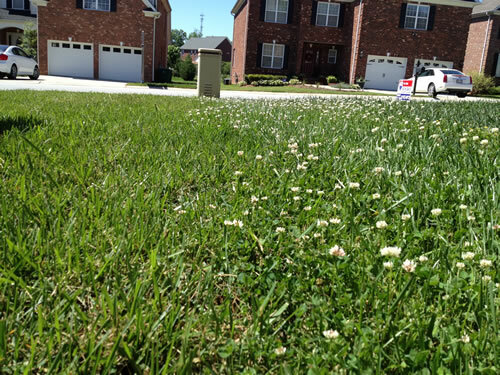 WINSTON-SALEM, GREENSBORO, HIGH POINT, NC /24-7PressRelease/ -- TLC Tender Lawn Care is offering fertilizer treatment schedules for homeowners in the Triad. Lawn fertilizing will help to prepare your grass for the coming warmer weather in Colfax, Clemmons, Greensboro, High Point, Kernersville, Oak Ridge, Summerfield, Stokesdale and Winston Salem. "Our lawn care fertilizing schedule will help your grass become strong, healthy and established as a lush green lawn," said Jeff Goldstein, President of TLC Tender Lawn Care. "We have developed an annual lawn care plan that will make your lawn the envy of the neighborhood. Get your grass healthy and ready for the warmer weather." TLC Tender Lawn Care offers a broad range of lawn care treatments. This is the time of year for fertilizing treatments in North Carolina. TLC Tender Lawn Care serves residential and commercial properties in Greensboro, Winston Salem, High Point, Summerfield, Oak Ridge, Colfax, Stokesdale, Jamestown, Advance, Lewisville, Clemmons and the entire Triad. TLC Tender Lawn Care has over 30 years of lawn care experience providing the best in customer service, quality lawn care plans and honesty. TLC Tender Lawn Care offers a wide range of residential and commercial lawn care, fertilizing, aeration, seeding, weed control and tree and shrub care. WINSTON-SALEM, GREENSBORO, HIGH POINT, NC /24-7PressRelease/ -- TLC Tender Lawn Care encourages homeowners to prepare for the coming warmer weather with lawn treatments, weed and crabgrass prevention, fertilizer services and tree and shrub care in the greater Triad area. "We are excited about the coming warm weather and providing homeowners with various lawn treatments to establish a lush green lawn," said Jeff Goldstein, President of TLC Tender Lawn Care. "We will bring our 30 years of lawn experience to help your lawn stand out in the neighborhood. We are committed to giving our customers the highest quality work at the most economical prices." TLC Tender Lawn Care offers a broad range of lawn care treatments ranging from weed and crabgrass control to lawn fertilizing and to a full service plan. TLC Tender Lawn Care proudly serves residential and commercial properties in Greensboro, Winston Salem, High Point, Summerfield, Oak Ridge, Colfax, Stokesdale, Jamestown, Advance, Lewisville, Clemmons, Pfafftown, Walkertown and the entire Triad. TLC Tender Lawn Care of Colfax Offers Discount for Lawn Aeration and Seeding Treatments, Grass Seeding, Lawn Care, Fertilizer Services and Tree and Shrub Care Homeowners and Businesses in Winston Salem, Greensboro, High Point, Oak Ridge, Summerfield, Kernersville and the rest of the Triad. WINSTON-SALEM, GREENSBORO, HIGH POINT, NC /24-7PressRelease/ -- TLC Tender Lawn Care announced today summer discounts for lawn aeration and seeding, for both residential and commercial accounts. TLC offers several lawn care options in the greater Triad area, including lawn fertilizing, weed control, insect and fungus control, aerator services, and tree and shrub service programs. "Our new aeration machinery delivers a uniform pattern and consistent depth which allows air, water and nutrients to reach the root system," said Jeff Goldstein, President of TLC Tender Lawn Care. "We use the highest quality seed and we bring over 30 years of experience in the landscape and lawn care industry." TLC Tender Lawn Care offers a broad range of lawn care plans ranging from basic weed control and lawn fertilizing, to a more full service plan that includes aeration, seeding, fungus and insect control. TLC offers warm season and cool season plans. /24-7PressRelease/ -- TLC Tender Lawn Care announced today a wide range of residential and commercial lawn care options in the greater Triad area, including lawn fertilizing, weed control, insect and fungus control, aerator services, and tree and shrub service programs. "Our business plan is focused around honesty, integrity and good old fashion morals," said Jeff Goldstein, President of TLC Tender Lawn Care. 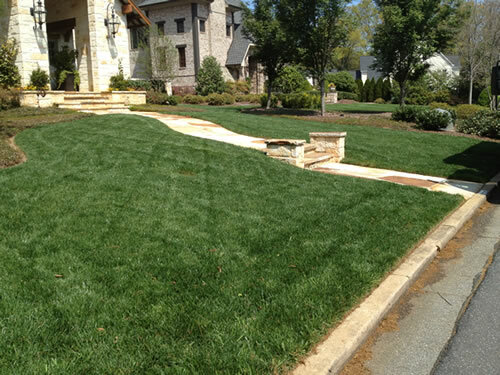 "We bring over 30 years of experience in the landscape and lawn care industry. We are committed to giving our customers the highest quality work at the most economical prices."